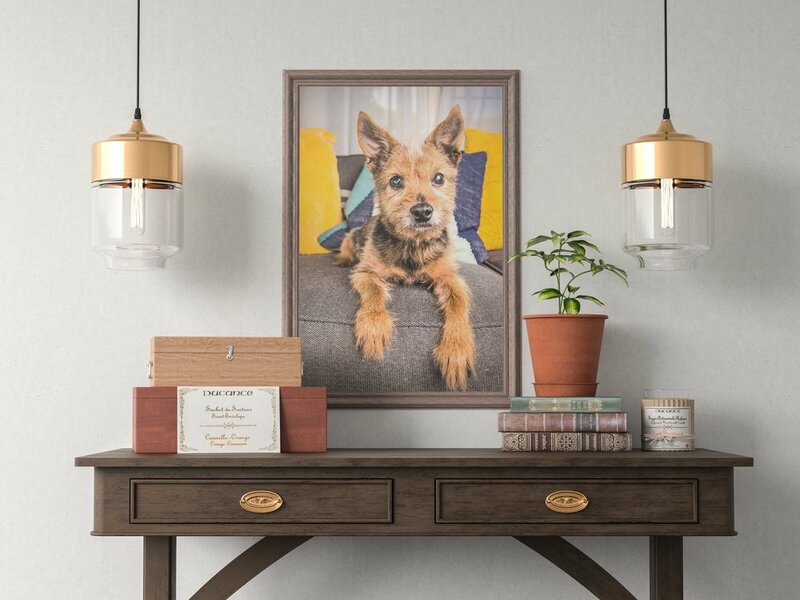 One of the most rewarding feelings is to see your pet immortalized in some unique moments - be it a portrait or a fun outtake, you'll want to show them or even gift them to your family and friends. 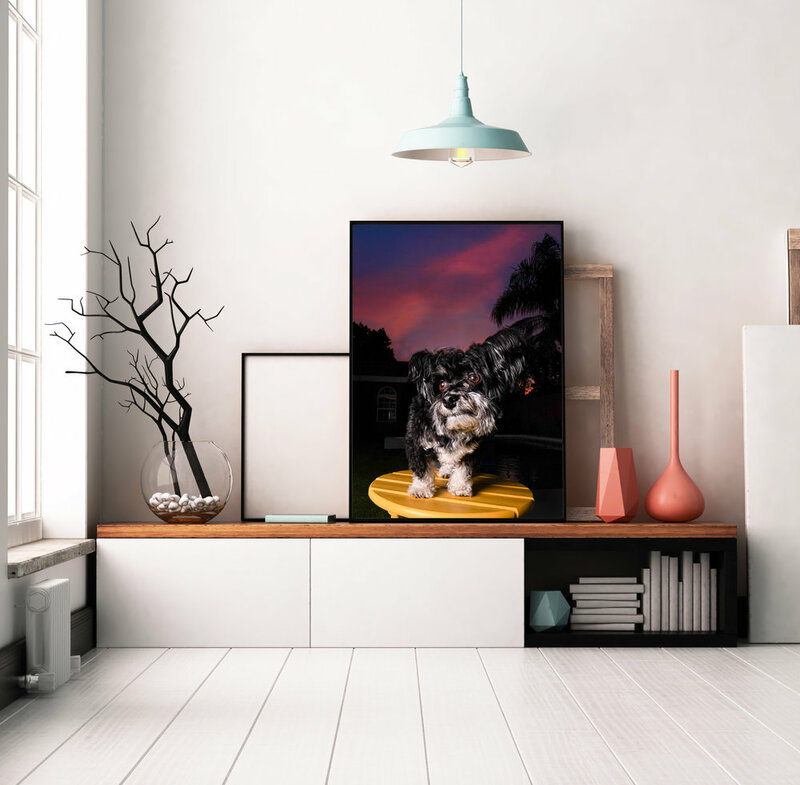 What better way to do so than getting some products printed on canvas, acrylic, metal, premium paper and showcase them in your home with some frames reflecting your style? I will polish your portraits and select some of the best. Then we'll either sit down (or do it virtually) and pick the ones you’ll want to turn in beautiful, custom high quality wall art. Both Dog portrait sessions and Day in the life sessions also lend themselves to being preserved in albums, small books, greeting cards and small desktop items, all of which I will happily present you as additional options. Contact Me to find out more about packages and custom products. If you can picture it, I can likely make it happen!